The baptismal font may have different positions in the churches. Customarily it is placed on a side of the nave and near the entrance, because it reminds and symbolizes that through the baptism we entered the Church. 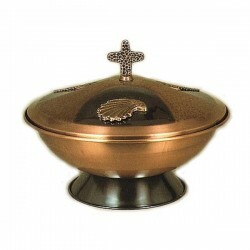 BAPTISMAL FONTS There are 10 products. 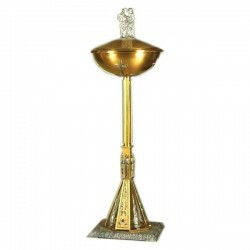 Golden brass baptismal font, D. cm 40. 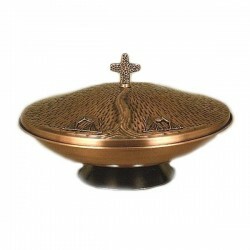 Bronzed brass baptismal font. D. 50 cm. 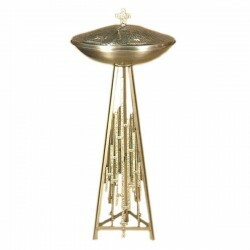 Silver-plated brass baptismal font. D. 50 cm. 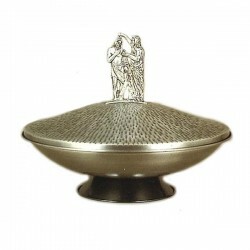 Silver-plated baptismal font. D. Cm. 40. 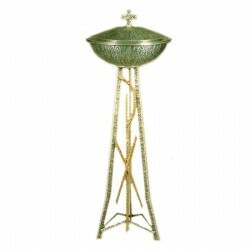 Silver-plated brass baptismal font. D. cm. 40. 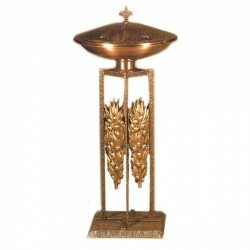 Bronzed brass baptismal font. D. cm. 50. 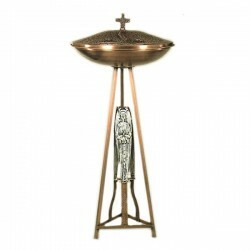 Silver-plated brass baptismal font. D. cm. 50. 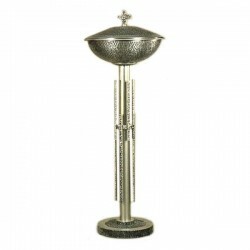 Silver-plated brass baptismal font. D. 40 cm. 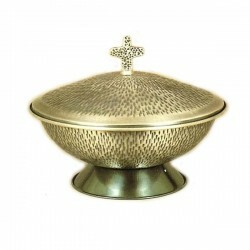 Bronzed brass baptismal font. D. cm. 40.